Hannah and Grant ditched their wedding attire for more casual outfits and we headed to Ecola State Park for a day-after session. We had Indian Beach to ourselves on this rainy day on the Oregon Coast. 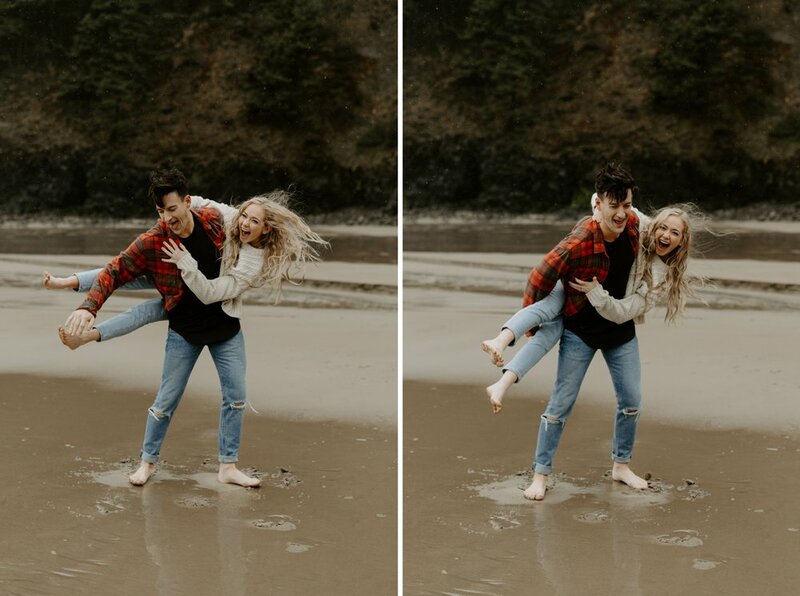 While some might want to hunker down in this kind of weather, Hannah and Grant's energetic personalities lightened the mood and they played and laughed barefoot in the sand. It was definitely cold out, but Hannah kicked off her shoes without hesitation. I so admire these two, their adventurous spirits, and the noticeably joyful love they share.